Loving a Sheltie, it truly is an experience! My spouse only had one dog in his formative years, a Dachshund named Red. 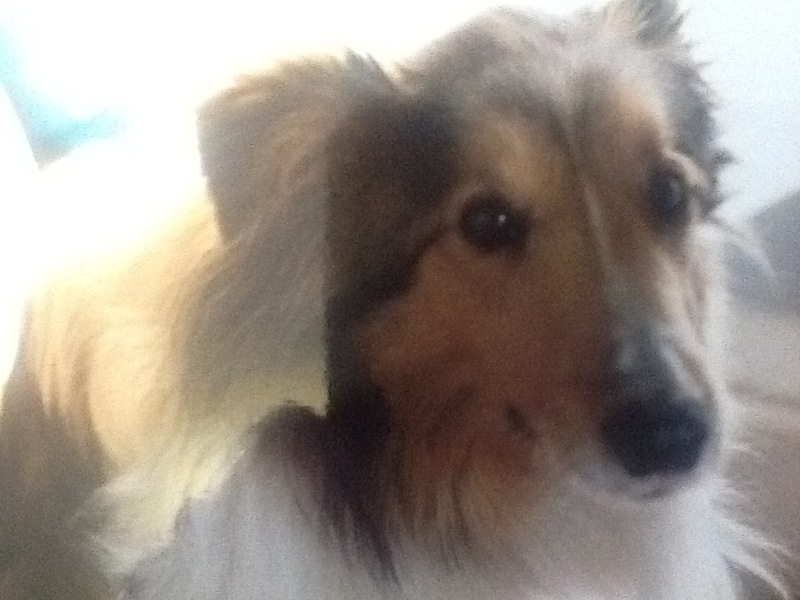 When he met me it had been almost a decade since he had lived with a canine, I had just gotten my very first Shetland Sheepdog named Amber who was navigating the puppy phase. I experienced a great deal of firsts with her, she was the first pure bred in our household, we had mixes up until that point and she was my first animal that I was to take on the role of sole caregiver. After our two family pets had expired my parents had said no more dogs, so I promised that Amber was my responsibility. Four years later I was married and my spouse was ever so enthusiastic that he had a dog in his life. The one thing you learn about Shelties is that as a breed they are a wee bit of an Oxymoron, robust and yet extremely fragile. I used to work twelve hour shifts on weekends and the first opportunity that arose, my man jumped at the chance to take “our” dog to Lion’s Valley for a hike. Twenty years ago the nice trails that exist today were more foot paths, as the two meandered up the steep embankments exploring, my spouse underestimated what shy means for a Sheltie. As they walked along they encountered another trail user on a rather narrow stretch, who couldn’t resist reaching out to touch my lovely girl. Amber was not a dog who enjoyed the affections of strangers and backed away, almost going over a rather treacherous embankment, thankfully my spouse caught her in the nick of time and rescued her from peril. Lesson one learned, if you see people, make sure you have a good hold on the leash or ask admirers to look not touch! Lesson number two came rather swiftly after the first. We had received a deep fryer as a wedding gift and my hubby was eager to give it a whirl. It was a wonderful meal, french fries, deep fried mushrooms and zucchini, I think he may have even tried donuts. When it came time to clean up my man had a rather brilliant idea of how to get rid of the rather smelly vegetable oil we had used, he took Amber out to the back yard in the dark of night for a pee break and unbeknownst to me, while she did her business, he dug a hole in the garden and dispensed with the oil. Major user error, anyone who knows anything about the Shetland breed knows they are ruled by their stomachs, they don’t seem to have an off switch! Much to my horror, my dear Amber decided to eat four litres of deep fry oil mixed with soil, because if the humans aren’t going to share the donuts then the essence of the fat they were cooked in would have to do! The vomiting started immediately and she became seriously ill. After a rather scary night, we finally brought her home with a severe case of Pancreatitis and I spent a few days away from work getting her stabilized and back on the road to recovery. My poor hubby felt terrible, after that he handled her as though she were a delicate flower. Having furry friends is an adventure, but I do believe that certain breeds should come with user manuals. Well know one will leave their dog with me again. I guess that is why you are the pet boss.